Spurred to action after hearing countless stories from overweight kids who were bullied and shamed on a daily basis, Jon Gabriel, along with pediatric obesity specialist, Patrica A. Ronald Riba, MD, partnered to write Fit Kids Revolution: The Parent’s Diet-Free Guide to Raising Healthy Children. After you purchase the book, you’ll receive instant access to these amazing online resources. Women, experience this unique meditation designed specifically to help you connect with your feminine source energy. 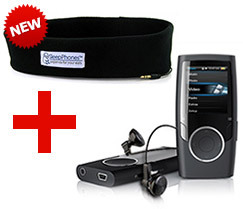 BONUS CD SMART Music CD to helps you turn your FAT switch OFF and change your internal chemistry. 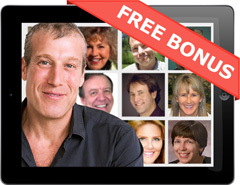 Join Jon Gabriel for a powerful video training series. Program created at one of Jon’s sold-out, live training events Takes you deep into the fundamental principles of The Gabriel Method. This inspired workshop will show you how to put The Gabriel Method approach into action in your own life right away. Get the complete archives of our first ever Mind Body Weight Loss Summit! Listen and learn from this unprecedented gathering of experts, speaking with Jon about losing weight naturally and healing your body. Expert lectures by Daniel Benor, Jena la Flamme, Katrina Love Senn, Frank Ferrante, Philip McCluskey, Joe Cross, Nealon Hightower, Carol Look, Paula Robbins, Andrea Beaman, Roberta Temes, Renee Stephens, Marc David, Bryant McGill, and more! Lose Weight, De-Stress and Transform Your Body and Life with Yoga. Learn from master yoga teacher and healer Katrina Love Senn, who healed her health problems, lost 60 pounds and kept iti off. Get the DVD as well as instant access to the online film and all the bonus extras. 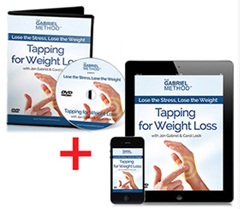 Plus dive deep with all 11 expert tapping sessions that address specific stresses and emotional challenges that cause weight gain. 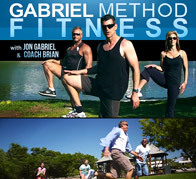 This comprehensive, Gabriel Method program walks you step-by-step through the Gabriel Method principles in an easy-to-follow, rich media format. The program includes the complete video book, a visualization library, quick & delicious recipes, and bonus seminars and lectures. 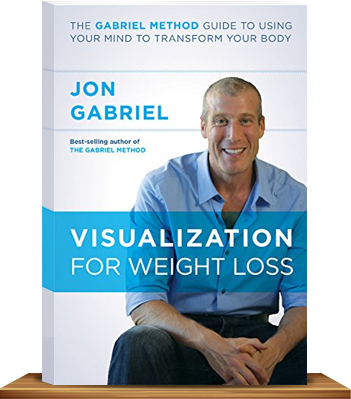 Learn the exact tools that Jon Gabriel used to lose 225 lbs, going from 409 down to 184 lbs with no suffering, no dieting, and no extreme exercise regimes. This mind-body approach to weight loss completely transformed the lives of tens of thousands of people and has been incorporated into medical practices all over the world. SleepPhones are a perfect tool to aid your evening visualization practice. They are comfortable sleep headphones for use in bed. Invented by a doctor, these soft headband headphones plug into your music player. You can fall asleep listening to your visualization without worry. These soft headphones are also useful for those who sleep next to snoring partners, or for other uses like winter exercise, listening to music in the office, or when travelling. With all of these uses, SleepPhones are a perfect gift! Conference Video Library & Class Notes Now Available! If you are feeling overwhelmed with work and family responsibilities, then these audio programs are designed specifically for you to get back in touch with your inner, masculine, power. BONUS CD – Eating for Vitality is a live audio class recording where Jon teaches you the importance of the “big 3” nutrients. A beginner’s guide to Qi Gong, an at-home practice program with instant access. 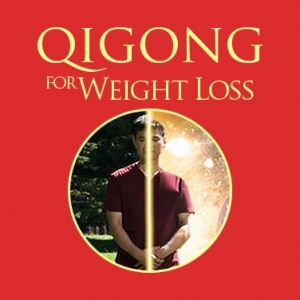 Join qigong master, Robert Peng, as he leads you and Jon Gabriel through a series of at-home routines designed to rekindle your qi energy (also known as vitality) within. This mind-body practice is very much a moving meditation, and it’s appropriate for all levels. 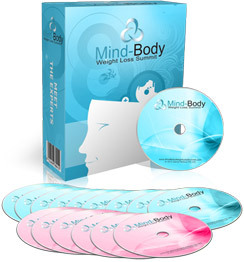 Lose weight & transform your body from the inside out by unlocking the unlimited power of your mind! Join Jon Gabriel and GM Coach and hypnotherapist Paula Robbins to relieve stress & lose weight with guided meditations that work at the cellular level. 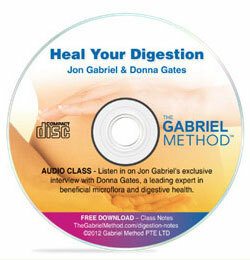 An Audio Class with Jon Gabriel and Donna Gates, including class notes. SMART stands for Super Mental Awareness Re-education Training. SMART Music takes you into very relaxing and pleasant states of awareness where you are highly receptive to learning. These states are perfectly natural and normal and you pass through them every night when you are going to sleep. The only difference is that SMART Music lets you go there when you are conscious. A powerful new documentary about taking control of your health from the creators of Food Matters. Features Jon Gabriel, along with health advocate and chef, Jamie Oliver and interviews with best-selling health authors and leading medical experts. 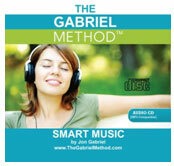 Your complete home study mini course, containing all the essential Gabriel Method resources. Enjoy 21 separate and unique meditation practices, led by Jon Gabriel and Carol Look. Each session is just about 10 minutes long, so you can always find time to listen in the morning, during the day, or just before bed (the preferred time for most people). Each week has a different theme, and each day has an extremely specific focus. The idea is to build healthy habits for life; and very quickly, you’ll start to feel these positive affirmations and guided imagery being incorporated into your day-to-day consciousness. Energize your body and burn fat with fun & playful exercises you can do anywhere! Jon Gabriel and Coach Brian Killian's easy-to-use, at-home fitness program allows you to mix and match your own unique work-in routine. No fancy gym membership or exercise equipment is required. Set aside 20 minutes, 2-3 times per week, and you’ll see and feel more benefits that you’ve previously experienced using old fashioned, long and boring gym-style workouts. All the resources you need to kickstart your transformation! The Gabriel Method Immersion Course is an online program, where you'll get immediate access to a 5-part video series, 3 bonus video training sessions and a bonus visualization mp3. This program is designed so you can go at your own pace while enjoying the in-depth learning and intense immersion of a Gabriel Method Retreat. The suggested protocol is to watch one module each day for the next week, and take it step-by-step. Jon takes readers through the latest research to show why visualization technique works. And then he lays out concrete, unintimidating advice about how to implement visualization into your life. Free visualization audio downloads, dozens of recipes, audio and video classes on yoga and meditation, and much more from wellness experts like Dr. Sara Gottfried and JJ Virgin. In a world full of junk food, fad diets, misinformation and toxic medications, Katrina's approach to weight loss is refreshingly simple and easy-to-follow. Katrina is a yoga teacher and healer, and leads the Gabriel Method program, Yoga for Weight Loss. Steve Meyerowitz teaches you everything you need to know about buying organic food. This is a no-nonsense guide for anyone who gets confused with all the options on offer in the health food store. The truth behind the saying, "you get what you pay for"